After a summer of EXTREME BBQ the GrateTV crew takes it down a notch to the bare essentials. A small live fire and a batch of lamb chops. Palmetto Bay Sunrise Cafe Chef Paul Stewart shows us how he fires up tint lamb t-bones. Summertime and grilling go together like peanut butter and jelly, but for some, the idea of grilling any type of meat puts the fear of fire into their hearts. Fortunately, you can do it, and the results are well worth the effort. Following are tips and advice about grilling and steak recipes that can turn any novice into a grilling expert. Every good barbecue begins with a quality cut of meat. In fact, the meat can make or break your grilling experience. The butcher at your local market should be able to guide you in the right direction. The following information will provide enough knowledge to put you on the same page as your butcher. All grills should be seasoned, however, this doesn’t mean you shouldn’t ever clean it. The biggest aspect of maintaining your grill is making sure the grease catcher is cleaned prior to your grilling season. You will also need to check it periodically throughout the season as grease builds up again. 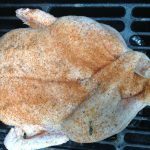 The actual grill grates should be scraped prior to grilling. To do this, turn your grill on high heat for about 15 minutes. Any barbecue sauce or bits of meat left on the grill from previous cookouts will carbonize. 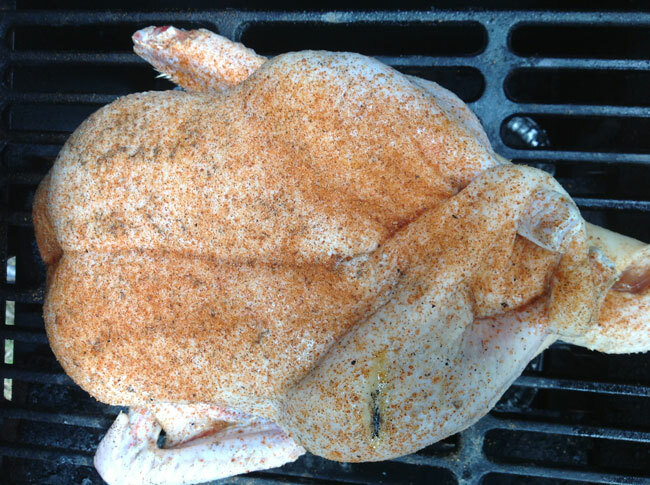 After this has happened, it will be easy to scrape or brush from the grill grate. Most standard grill scrapers come with a brass or stainless wire brush on the backside. Over time, the brush will eventually wear down, fill with grease and carbon and need to be replaced. Regardless of the type of meat you use, you will need to prep it for grilling by patting it down with paper towels on each side. This will remove the moisture from the surface of the meat, which allows your seasonings to stick and the meat to cook evenly across its exterior. Meat should be seasoned prior to grilling (steaks in particular.) An easy steak recipe rub consists of crushed black pepper, sea salt and olive oil. The salt and pepper flavor the steak and the olive oil provides protection from the direct flame. Other seasonings can include your choice of flavored salts, fresh herbs or special spices. Remember, a nicely grilled steak requires very little seasoning, so don’t over-season your steaks. Once you’ve seasoned your meat to perfection, place it on the grill. On a gas grill, turn the flame down to medium to avoid flare-ups. Be aware that a lean cut of meat will be less likely to flare up than a fattier cut. An easy way to avoid flare-ups on a charcoal grill is to have a spray bottle handy. If there’s a flare up, squire a bit of water on the charcoal at the base of the flame. On a gas grill, close the lid and turn the flame down further. You can also move the meat out of the direct flame with your metal spatula or tongs. 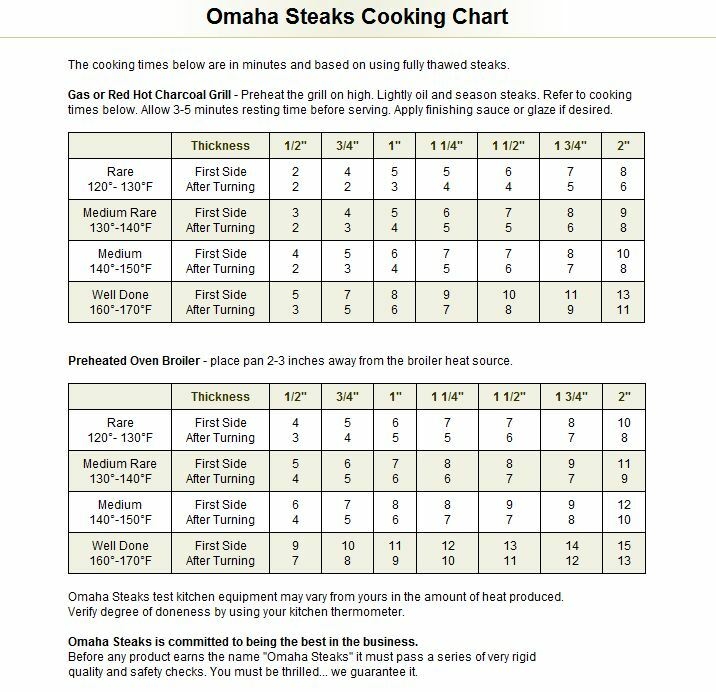 Cook each side of your steak for roughly three to eight minutes (see steak grilling chart.) Poultry and pork generally take a bit longer to fully cook, and most fish takes only ten minutes total. This will create beautiful grill marks on each side and should fully cook the meat. 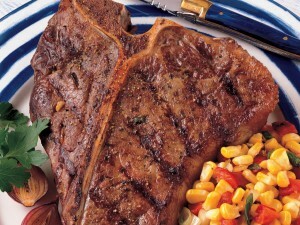 For a well-done steak, leave it on the grill for a few minutes longer per side, but don’t overcook it. Once you’ve finished cooking your meat, pull it from the grill, and let it sit for about ten minutes. This allows the juices to properly distribute themselves throughout the body of the meat, which will add tremendous flavor and moistness. Be sure to close the lid on your grill. Charcoal will go out on its own, but be sure not to dump the ashes too early. If you’re using a gas grill, shut off each of the valves and the valve on the propane tank. Your grilling session is finished, and it was a lot easier than you could have imagined. Now it’s time to crack open your beverage of choice, and enjoy the spoils of your grilling victory. GrateTV takes the Loony Toons BBQ up to another level as we tackle duck. Jack Waiboer and Bill West look at the difference duck’s fatty skin makes to preparation on the barbecue. From GrateTV or watch here. For most Americans, grilling evokes a series of relaxing images in the mind. Picture this – a group of friends in the backyard, waiting impatiently while the barbecue is sizzling away and the air is filled with appetizing aromas of food. Their wait is worthwhile because very soon, they will dig in happily into some delicious grilled meat! Nothing symbolizes the spirit of America more than firing up the grill with family and friends on the Fourth of July. Grilling represents a great American cooking tradition that has taken years to evolve – from the ancient meat-on-a-stick over raw fire to the culinary delights cooked with modern grills. When it comes to cooking their favorite meat, Americans prefer grilling to other forms of cooking. Grilled meat is juicier and acquires an irresistible taste and aroma that cannot be substituted with any other. Grilled food is also healthier since its fat content is considerably lower. As of 2011, 82% of American households own a grill or smoker and nearly 40% grill all year-round. Burgers, steak, hot dogs, chicken and pork chops are the most popular foods cooked on a grill. Grilled Italian Sausage recipes are also a favorite at cookouts. There are countless mouthwatering dishes that can be prepared with Italian Sausages. Surprise your friends and family by tossing some Italian sausages on the grill. 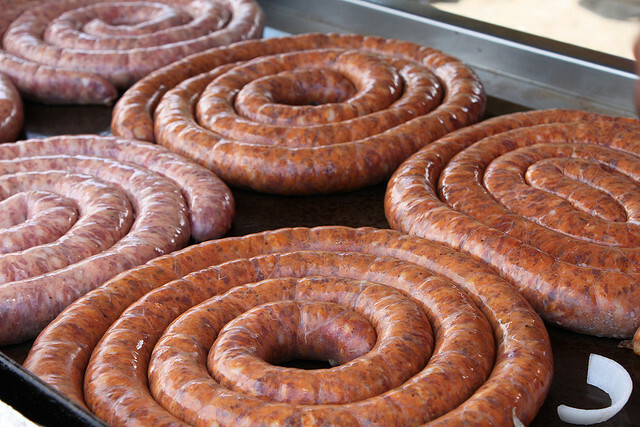 Let the aroma of these sausages provide a beautiful setting for your evening. � Or simply grill and have them on their own! Believe in slow and gradual heating: Sausages tend to shrivel up as they are grilled. It is important that you do not immediately expose sausages to high heat, since the outer casing will crack open immediately, releasing meat and fat onto your fire-called ‘spitting’-and this will cause it to flare up. This chars the sausage and leaves a sooty deposit all over your sausage. Say NO to forks: Instead of a fork use tongs or a spatula to turn food. Piercing sausages with a fork releases fat and juices onto the hot coals, causing flare-ups. Use only white/grey charcoal: Grill only over grey-white coals after flames have died down and not over black coal. Gas grills should be set on the lowest or medium setting depending on your requirement. We recommend a few delicious recipes, like- Italian Sausage Sandwiches, Sausage Skewers and Premio’s Bacon Wrapped BBQ’ED Sausage with Sauerkraut. Our latest from http://gratetv.com on preparing a LOONY TOONS bbq. Take a look… more next week.